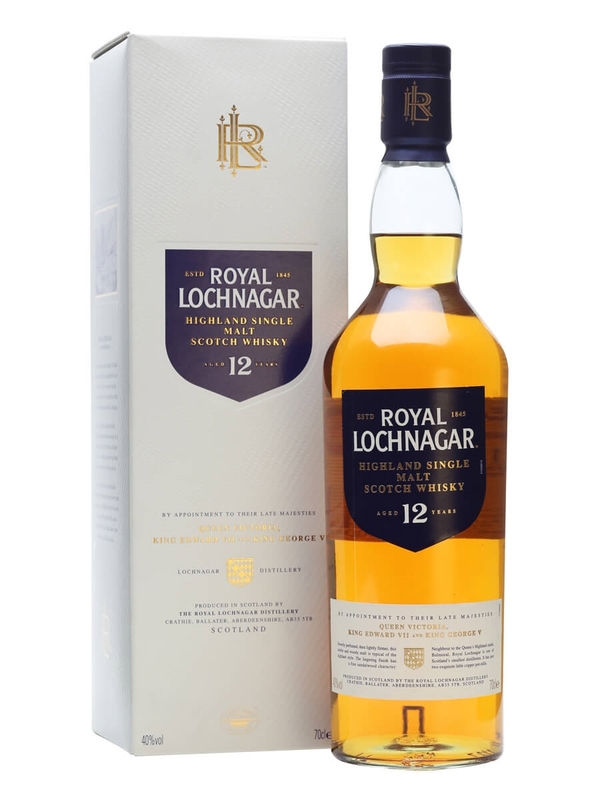 Royal Lochnagar is one of three distilleries allowed to use “Royal” in their name. The other two are Glenury Royal (closed) and Royal Brackla. The story goes that Queen Victoria visited Balmoral castle and the neighboring Lochnagar distillery in 1848. She was so impressed with the “new” distillery built in (1845) that she granted it a royal warrant, hence the Royal in Royal Lochnagar. See Malt Madness for more info. Royal Lochnagar is one of the “Classic Malts” of Diageo and you can take a tour there for free if you sign up to their “Friends of the Classic Malts” scheme. There aren’t too many (currently available) official expressions from Royal Lochnagar, but there are a few independent bottlings kicking around. Reminds me of a white wine. White pepper. Green apples. Martinelli’s sparkling apple cider. Very light in strength. Hard to pick up at first. Bit like perfume from girly magazines. Diluted caramel like the kind they use at Starbucks to drizzle on the whip cream of a frappuccino. Candy apples. Kind of soapy. Light taste. Fresh cut green apples. Toffee. Salt water taffy. A bit bitter like licking a wool sweater. All in all it’s what I call a lightweight dram. Very approachable, probably good for whisky newcomers but not too much going on for those looking for something deeper. It’s light, sweet, and unoffensive. Apples and toffee. Vanilla, hints of ginger, and cinnamon bark. Crisp clean dram. Light and refreshing.